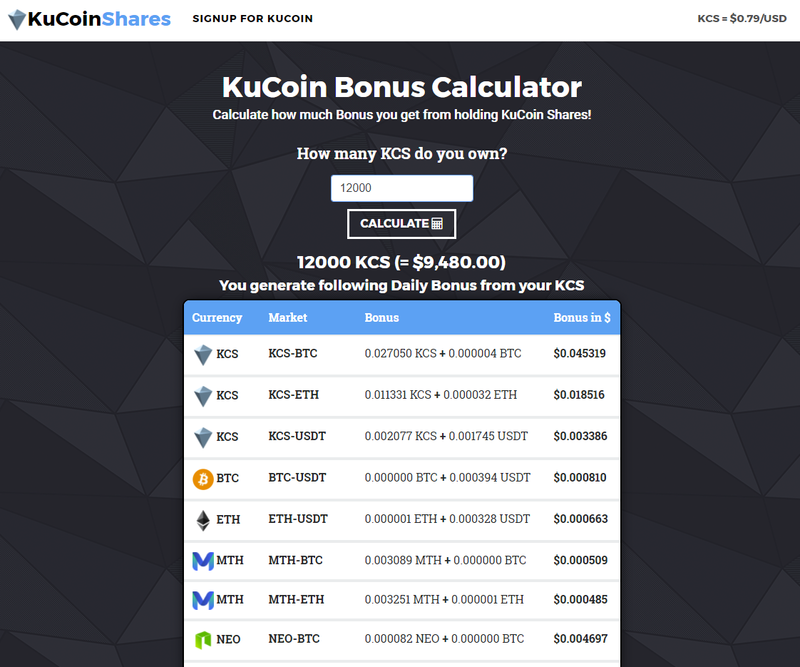 KuCoinShares.com is a KuCoin related Website which features a KuCoin Bonus Calculator to calculate the Bonus you receive from holding KuCoin Shares. I developed this website myself & tried to make it as useful as possible for the KuCoin Community. The Bonus Calculations are based on the current live data from the Exchange. Input how many KCS you own and calculate how much Bonus Yield that generates. I have signed up to Kucoin and the platform looks interesting. You are joking right?! You are a begger with your referral code. Pathetic for a developer.